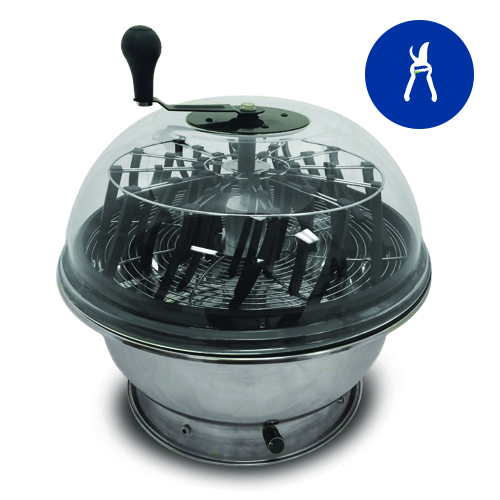 18” Clear Top Motorized Bowl Trimmer - FREE Shipping! Each motorized trimmer includes a built in motor, power cord, and speed adjustment dial. Yet, you are still able to use it with the standard hand crank if no electricity is available without and modifications or serious changes to the trimmer. The upper bowl is clear to allow you to see your product while it is working. 18 inch. Bought this bowl trimmer because it was cheap in my price range and wish I spent more on a better machine.